Movie poster for Soviet comedy with charming artwork by Slovak photographer Pavol Breier. 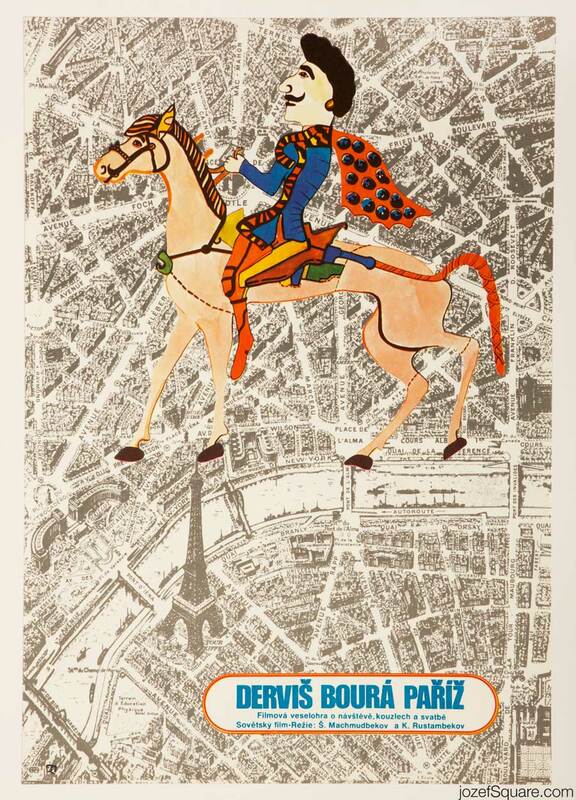 Movie title: Darvish Explodes Paris Poster design: Pavol Breier, 1979 Poster size: A3 (41.5 x 28.7 cm) Poster condition: N/A jozefSquare poster archive. For shop and blog highlights, please subscribe to our newsletter.